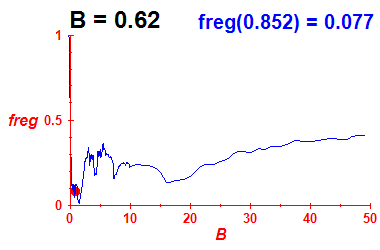 The same as in Figure 1, but in different scale. 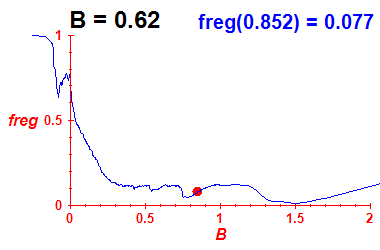 Calculated using the sections of regularity (see Figure 2). Poincaré section y=0 calculated on a 100 x 100 grid. 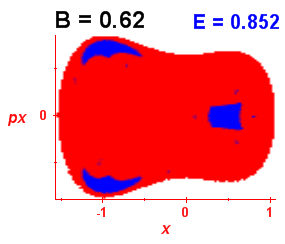 A trajectory is started at each point of the grid and the SALI method is used to distinguish regular (blue colour) from chaotic (red colour) trajectories.